Panelists Molora Vadnais and Larry Nowlin will share their perspectives on two photographic series currently on view in Internal Ballistics. 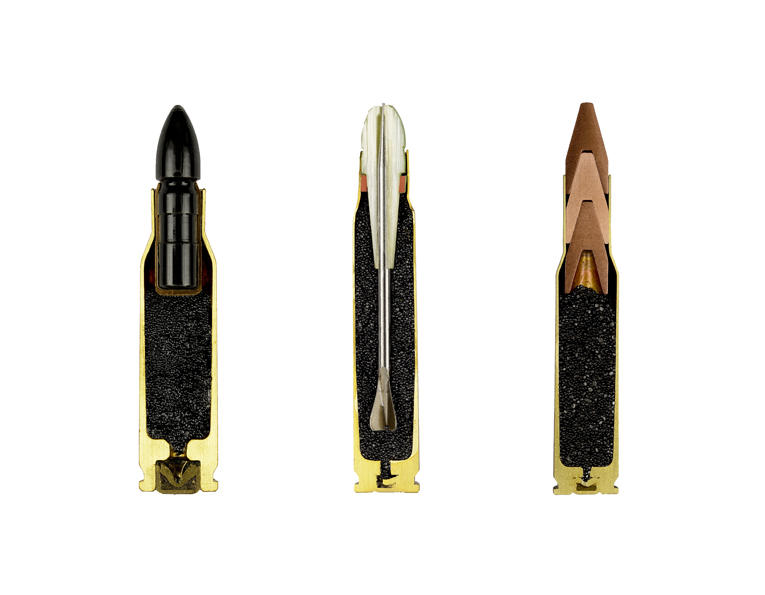 This two-person exhibition addresses the discomfiting beauty of morally fraught objects: bullets. Gallery artist Deborah Bay will exhibit her series The Big Bang, examining power, violence and energy. In a multi-layered visual exploration of how bullets shatter bone and muscle, Bay utilized Plexiglass to clarify impact patterns. 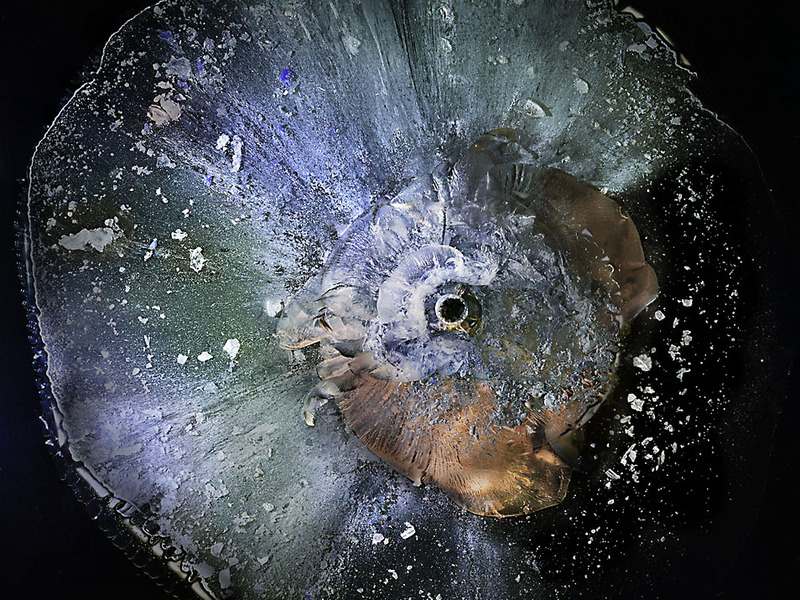 By isolating the casings and destruction from any living target, Bay’s photographs simultaneously invite the viewer to detach from the human meaning of projectiles and to contemplate a willful ignorance of violence. 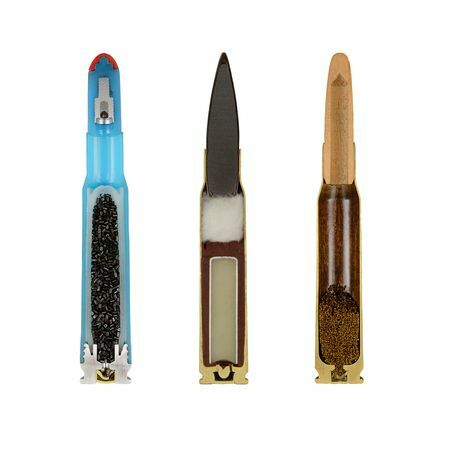 In Ammo, guest photographer Sabine Pearlman has bisected WWII rounds to expose the toylike innards of unidentified bullets. In Pearlman’s photographs, the viewer is compelled to admire the craftsmanship and and intact delicacy of objects whose raison d’etre is obliteration. Imagine a time of no time and no space, a time before time began. In that abyss of nothingness the Big Bang occurred, a moment of singularity when the cosmos was born: a brilliant, millimeter-sized ball of light expanding in a flash, instantaneously transformed into the vastness of the universe. New images from space renew our sense of awe as we push back through billions of years of time, through the heavenly primordial soup to the earliest stars. Inspired by visions of time traveling through space, the images in ”The Big Bang” hint at these cosmologic regions and encourage viewers to wander among unknown galaxies, speculating on their genesis. As suggested by their titles, these images were created by shooting projectiles into bullet-proof plexiglas, a big bang of another sort. Law enforcement professionals at the Public Safety Institute at Houston Community College fired the shots into the plexiglas, and the photographic images were made later in the studio. This series of ammunition cross-sections was photographed inside a WWII bunker in Switzerland in October of 2012. The entire series consists of 900 specimen. I was originally intrigued by the ambiguous nature of the subject matter. The cross-sections reveal a hidden complexity and beauty of form, which stands in vast contrast to the destructive purpose of the object. It is a representation of the evil and the beautiful, a reflection of the human condition. Deborah Bay specializes in tabletop and constructed photography, creating enigmatic in-camera images as well as digital composites. 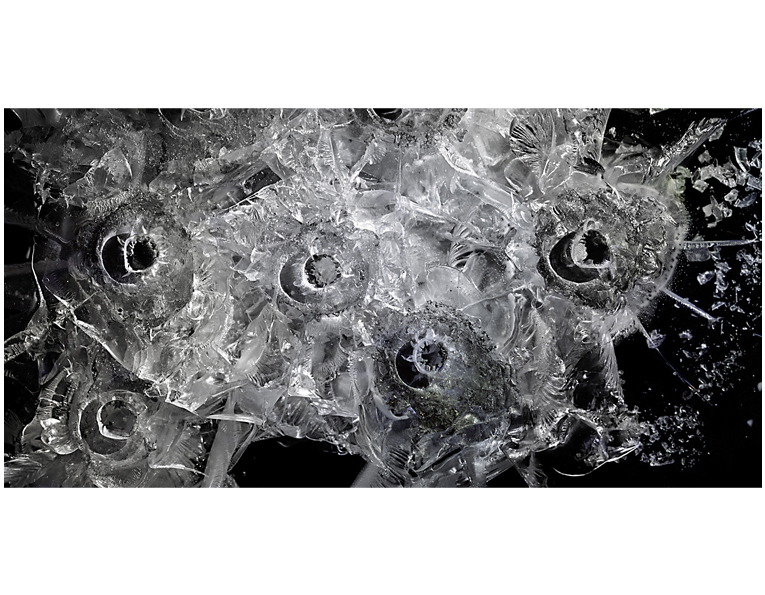 Her most recent series, ”The Big Bang,” examines the fragmentation of bullets embedded in plexiglas, tracing the energy released from the projectile well after the gunshots are fired. She has exhibited work at the Dallas Contemporary, Griffin Museum of Photography, Dishman Art Museum, New York Hall of Science and Southeast Museum of Photography, among other venues. Her work is in the collection of the Museum of Fine Arts, Houston, and has been featured on the cover of the British Journal of Photography. A variety of international publications have featured her images, including PM Magazin and Welt der Wunder (Germany), BBC Focus and MailOnline (UK), and Smithsonian.com (USA). She lives in Houston, Texas, and holds graduate and undergraduate degrees from The University of Texas at Austin. Sabine Pearlman was born and raised in Austria. She moved to the US in 2004, and today lives and works in Los Angeles. As a photographer, she strives to create a poetry of images by synergizing the “big picture” with the small details. Educated at Pratt Institute, Otis College of Art and Design and Santa Monica College, Sabine’s work has been exhibited at numerous galleries nationally and internationally. wall space gallery first opened in Seattle, Washington in 2005. Our focus is on emerging and mid-career artists and expanding the photographic arts. Our artists are craftsman, using photography as an integral part of their work, but layering emotional stories with techniques and processes that enhance the visual experience. The gallery has gained an international reputation for finding and showcasing new artists and exposing new ideas. wall space opened the Santa Barbara location in 2010. The only gallery in Santa Barbara focused on the craft of Contemporary Photography, wall space is a leader in presenting artists who transcend the medium. In addition to our exhibition schedule, we have a series of artist lectures and community events. wall space gallery is located at 116 East Yanonali Street in the Funk Zone of Santa Barbara. Tu-Sa 11-5, Sun 12-5, and by appointment. Pricing and edition information available upon request.